I bought a 2 inch Micro-Mark Mini Miter / Cut-off Saw to cut screws & brass tubing, in the hopes that it would be somewhat better than the essentially equivalent Harbor Freight offering. I think that’s true, but it’s a near thing. 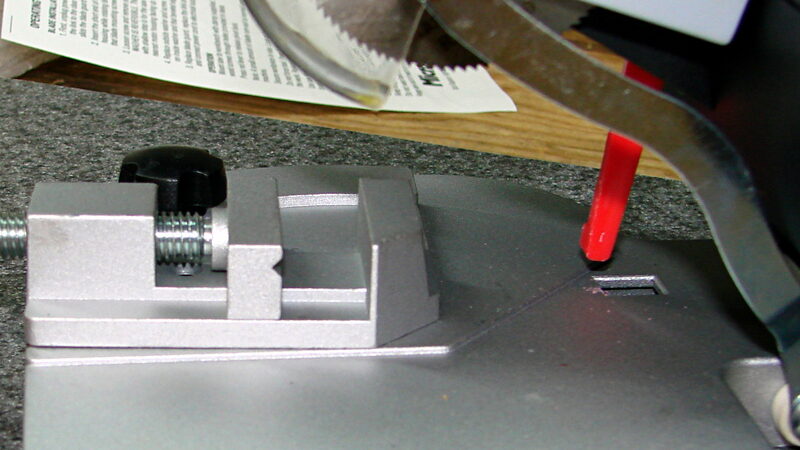 The V-groove should be on the fixed jaw, where it would more-or-less precisely align rods / cylinders with the blade. 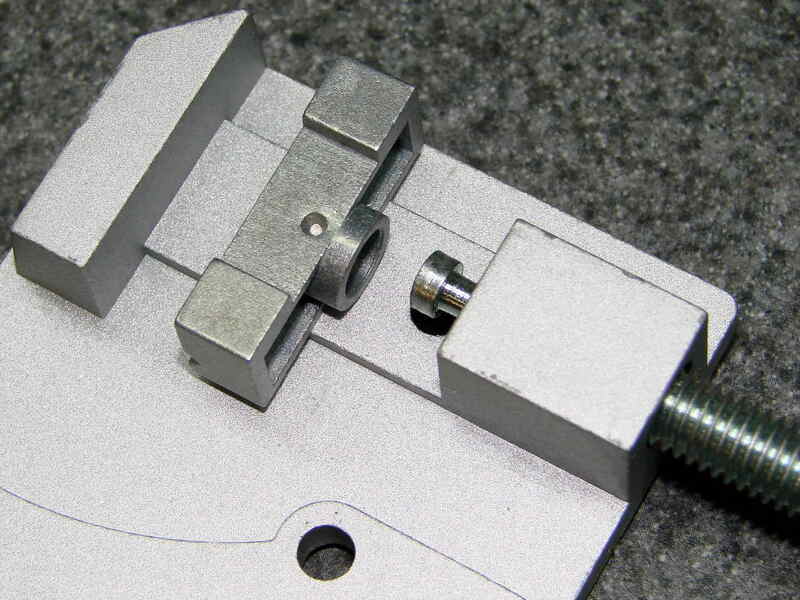 The moveable jaw isn’t dovetailed to the base of the vise, so it ends up wherever it stops and, somehow, they managed to machine the end of the screw shaft off-center from the shaft, so the moveable jaw moves in a small circle as you tighten it. 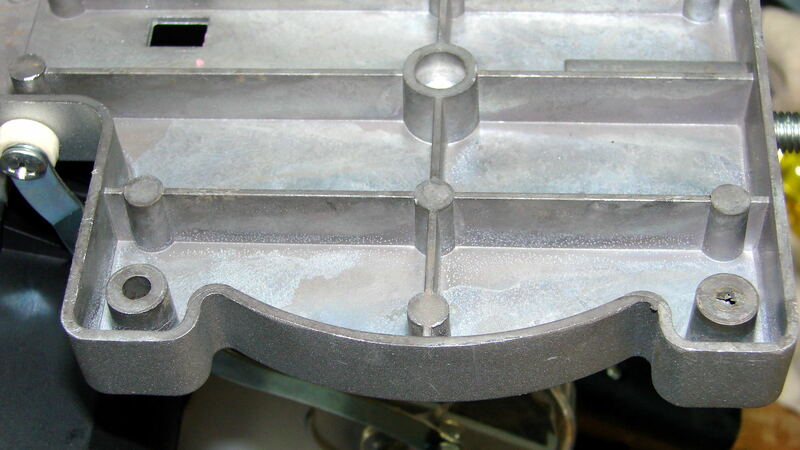 The hole in the vise, just under the disk, lets somebody whack the jaw with a punch. Some machining or an entirely new vise setup lies in the future of this thing. I mounted it on a scrap of countertop by transfer-punching the base holes, only to discover that the punch didn’t leave a mark for one hole, even though a dent was clearly visible at the bottom of the hole with the saw on the countertop. Apparently the core for that hole in the injection mold didn’t seat quite right. The layer was thin enough to drill out easily. 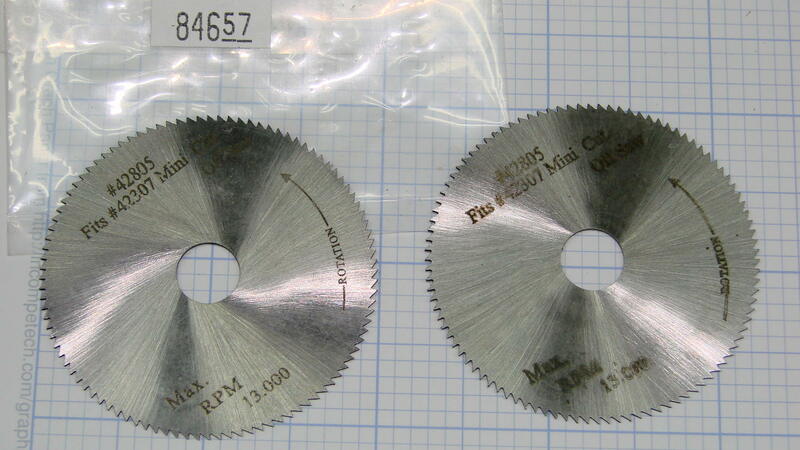 Granted, the Micro-Mark blade on the left has nicer printing, but MM blades run $15 each and HF offers a three-pack for ten bucks. Note the carefully positioned thumb in the Micro-Mark picture. “Beware of cheap imitations!” says Micro-Mark.